Expand and upgrade your home entertainment system with the Z69n 4K TV Dongle. With a wickedly fast processor and Bluetooth and Wi-Fi support, this media stick opens up a brilliant 4K Ultra HD world of movies and TV shows. If the size matters to you, you can have a good media player option with the Z69n 4K TV Dongle, a TV-Stick format that assures absolute discretion given its small size. By supporting 4K resolution, this Android TV stick is capable of producing breathtaking visuals. From now on, you’ll be able to watch your favorite movies, series, and sports games in vivid color and stunning detail. Thanks to this, you’re sure to enjoy your media in a way you have never experienced before. Simply sit back with your friends, put on your favorite film, and enjoy a cinematic experience. With this 4K TV dongle, you’ll be able to turn any room into your private theater. The operating system is Android 8.1 and among the accessories, we also have a small IR remote control with a design that we have not seen so far. 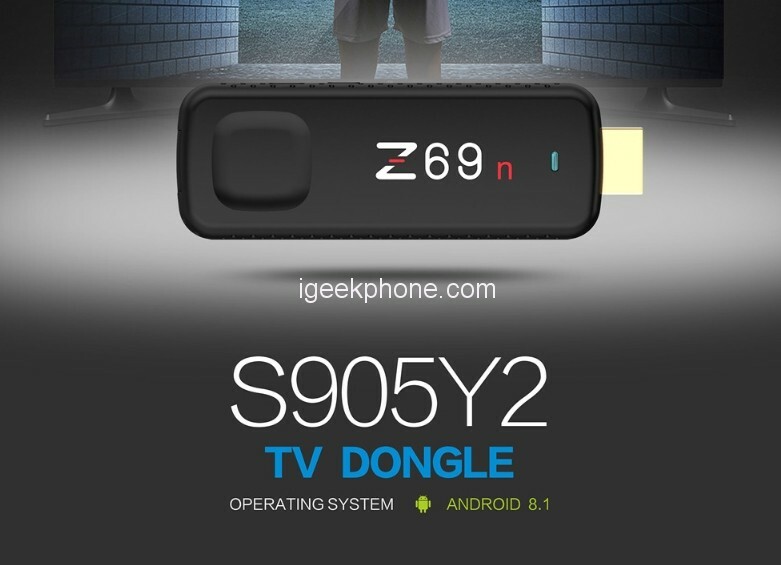 Z69n 4K TV Dongle equipped with Amlogic S905Y2 Soc, This Amlogic S905Y2 processor fully supports premium 4K UHD video. This powerful 64bit CPU and ARM Dvalin MP2 GPU combination handle 4K graphics better than most products on the market. It uses a DDR4 4GB RAM and an eMMC 32GB for better performance, security, and reliability. Z69n is one of the first TV Dongle to run on Android 8.1 (an update to Oreo). This software update allows for a great user experience with steady performance. 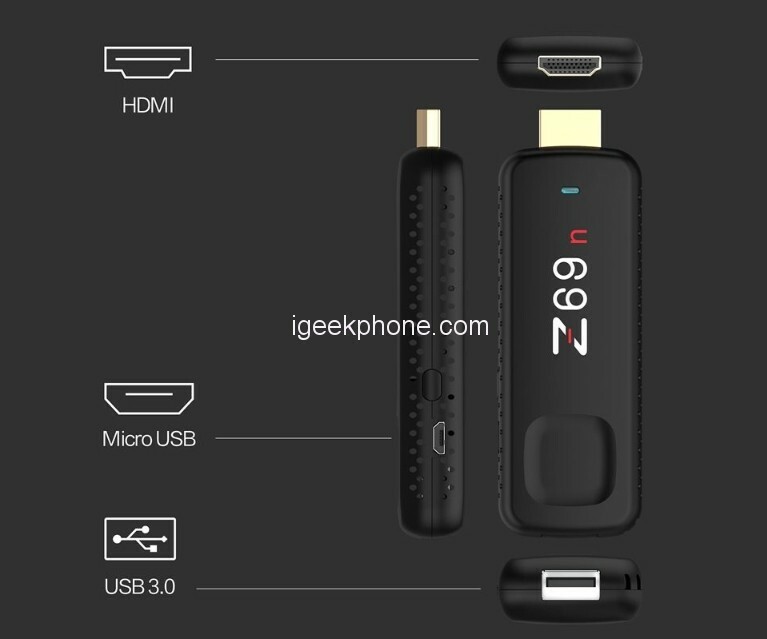 Z69n 4K TV Dongle Comes with dual band wifi With support for 2.4Ghz and 5Ghz band, it can transmit higher amounts of data and Bluetooth 4.2. At the level of connectivity as usual in this format, we have quite limited only find an HDMI 2.0 video output, Micro USB For power, and 3.0 USB port. 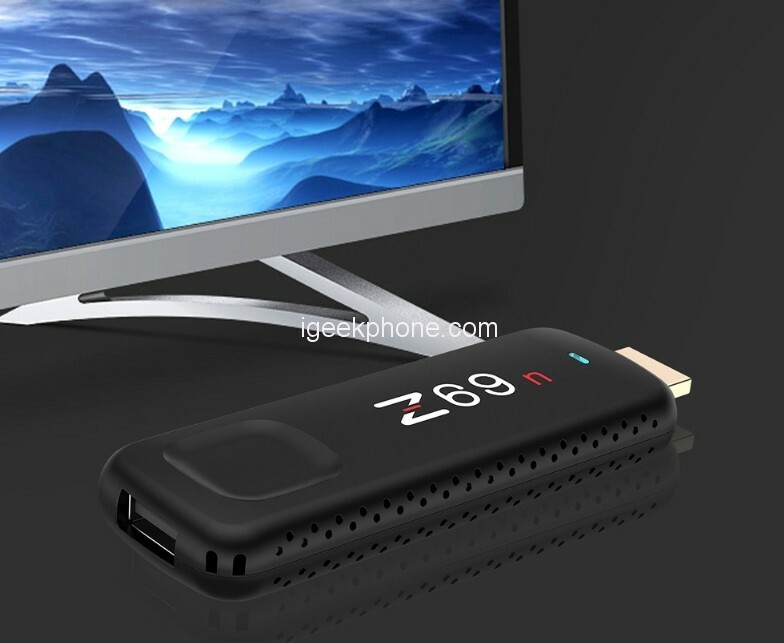 Compared to standard Smart TV, the Z69n 4K TV Dongle is more powerful and has more functionality than TVs. Unlike Smart TV, you can effortlessly install KODI (XBMC), add your favorite Add-On, or any other app or 3D game on Google Play and watch numerous free TVs. 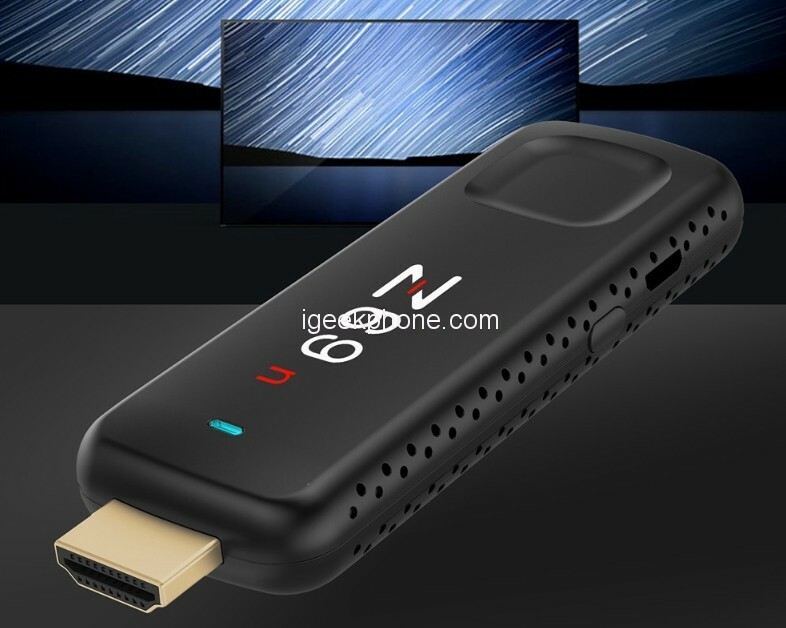 The Z69n 4K TV Dongle is connected by default via the HDMI port to the TV. Media, IPTV, Internet, office and gaming and entertainment applications.